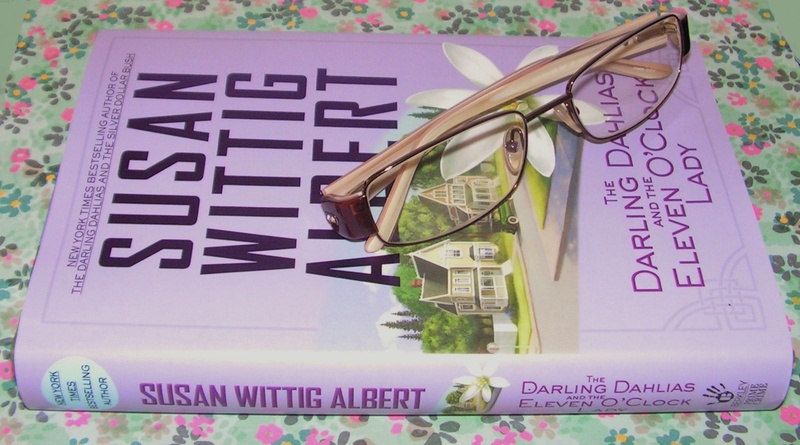 Having read this book on the heels of the book before it in the series, THE DARLING DAHLIAS AND THE SILVER DOLLAR BUSH, I will say I liked ELEVEN O’CLOCK LADY more. The Darling Dahlias are back and planning on enjoying a wonderful summer. But they didn’t plan on the murder of the town’s lady with the “somewhat wild reputation”. With rumors sprouting up all over and the suspect list growing like weeds, THE DAELING DAHLEAS AND THE SILVER DOLLAR BUSH was a well plotted mystery that captured my attention at the very beginning and held me captured until the end. I really like all the ladies in the garden club. In real life, one or two of them would be sort of hard to get used to. However, between the pages of this book, they are a lot of fun to read. With it’s 1930’s setting, this isn’t your typical cozy mystery. That being said, this series shouldn’t be over looked by cozy readers. And be sure to check out the back of the book where you will find The Dahlias’ Household Magic tips, and wonderful southern style depression – era recipes!